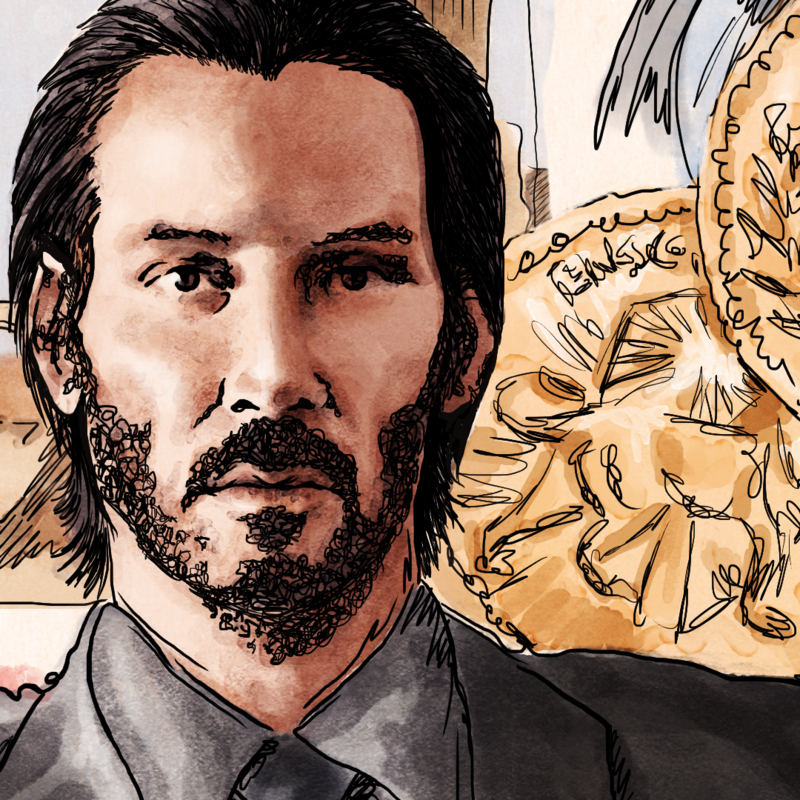 This personal piece was inspired by 60’s advertising, the illustrations of Tom McNeely, and the awesome John Wick films (particularly Chapter 2). 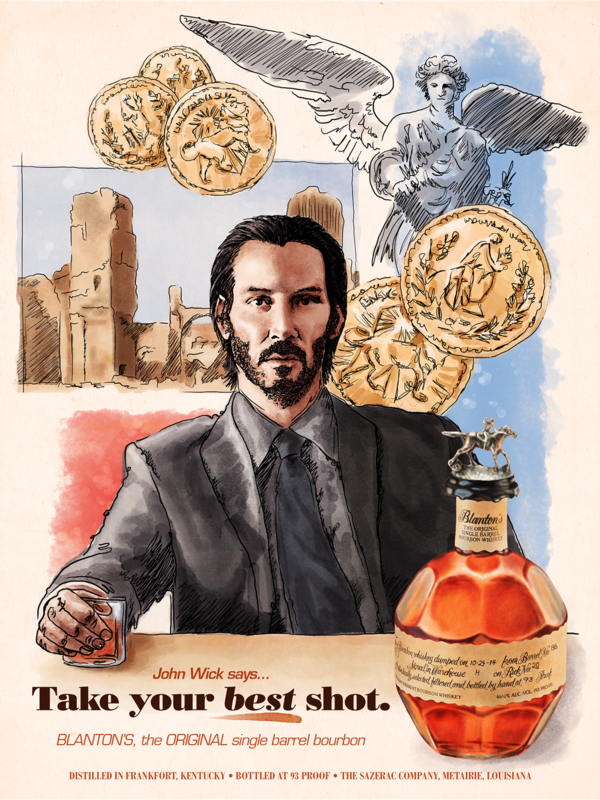 John is a bourbon man, so why not make him a brand ambassador. The background illustration (featuring two settings from Chapter 2 and the ‘assassin’ coins) is done in the McNeely style of meandering lines and watercolor washes. 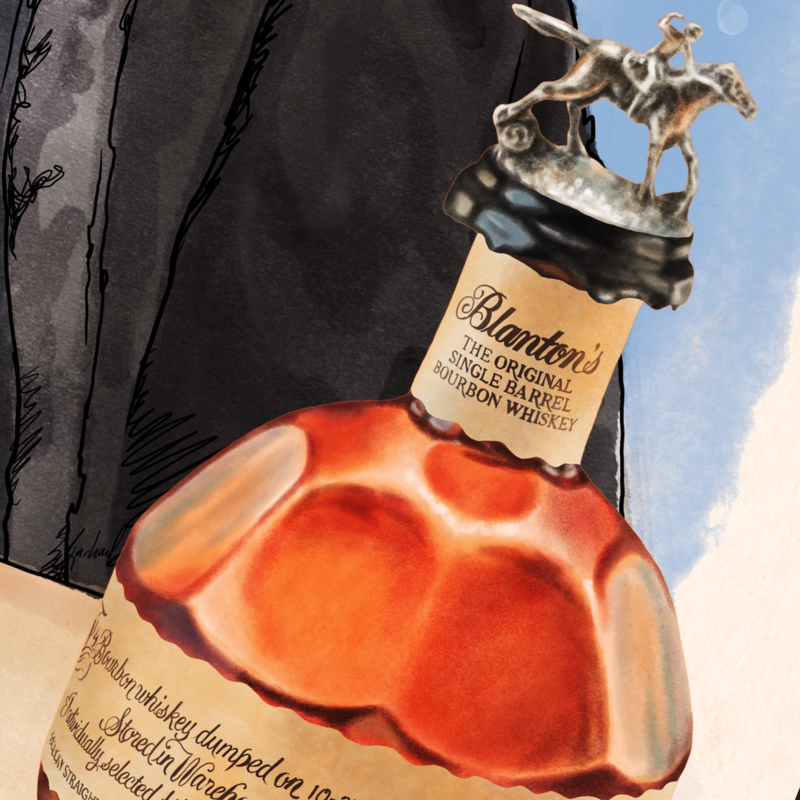 The Blanton’s bottle utilizes another style so it more closely resembles a photograph. 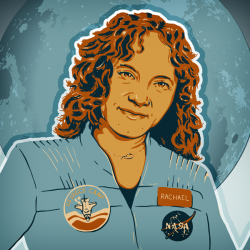 All illustrations were done with the brushes of Kyle Webster.